We get many clients coming to us having being charged with a motoring offence – yet they didn’t realise they had been doing something wrong. From not keeping your distance from cyclists, to using your mobile phone, we thought we’d put together a list of the ‘top things all motorists should know’. Lots of people get road rage when it comes to cyclists. But the following may help you understand their actions better. The DirectGov website states that it is recommended for a cyclist to ride well clear of the kerb – one metre away or in the centre of the left lane. The traffic law says that drivers must pass at a safe distance. That means drivers need to wait until there is room to over take and to leave as much room as they would when over taking a car. When a travel lane is not wide enough to share, safe bicyclists move to the middle of the lane to insure that motorists use the next lane over to pass or wait until it is safe. We bet the majority of you reading this have at some point texted while in the car – even if you are stationary in traffic. It is against the law to use a handheld mobile phone when driving which includes using your phone to read messages and using maps for directions. If you’re using hands free, there is still a chance you could be prosecuted if you don’t seem in complete control of your car. If you’re caught using your mobile phone when driving, you will get six penalty points and a £200 fine. If it has been two years or less since passing your test and you get six points, you will lose you licence. So for a new driver, just one offence would be enough to lose your licence. Just about everyone knows that driving over the alcohol limit is illegal, but a lot of people hadn’t realised it is also illegal to drive under the influence of drugs – including prescription drugs such as diazepam, methadone and morphine! The law in England and Wales states that it is illegal to drive with legal drugs in your body if it impairs your driving. 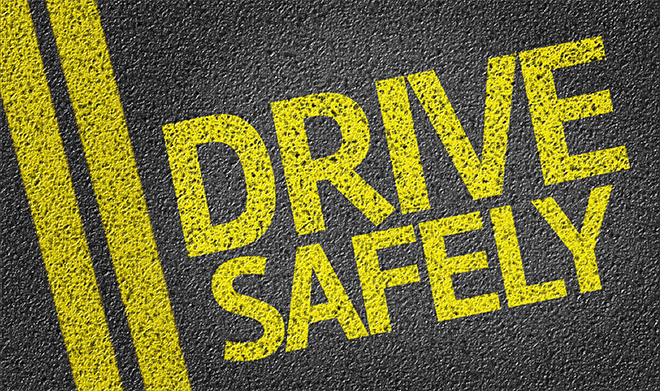 If you are caught, you could face a large fine, a driving ban and even a prison sentence. In October 2015, smoking in a car with children (persons under the age of 18) was banned. This law was brought into effect to reduce the amount of children exposed to second-hand smoke. If you are caught breaking this legislation, you could receive a large fine. Work Vehicles: Did you also know that smoking in work vehicles has been illegal since 2007? If you splash pedestrians with puddles, they actually have the right to take your registration number and report you to the police. It can be classed as careless driving which is punishable by a fine (of up to £5000!) and up to nine points on your licence. As of June 2015, the UK stopped issuing paper counterpart driving licences. Although paper driving licences issued before the photocard was introduced (1988) are still valid, all points and penalties will be recorded online rather than paper. This is something that people should know when applying/starting a job that requires a driving licence. The Government is rolling out a new ‘Make a Plea’ service following a successful trial in Greater Manchester. The aim is to reduce the amount of time magistrates spend on minor motoring offences and allows the motorist to make their case online without having to attend court.